The Dore River is located 5 minutes west of McBride off highway 16 up the Dore River Road. It has three sections: North Fork, South Fork, and Main Dore. 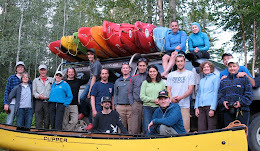 I've never done the North Fork (grade V), but kayakwest has an excellent write-up you can read here. Last weekend, we had a look up the South Fork (grade IV) to 5 km. There are some tough looking shallow rapids on this stretch like Sucker Punch, and wood is also an issue on this entire section. We ran it from 3 km down to the confluence where the Main Dore begins. 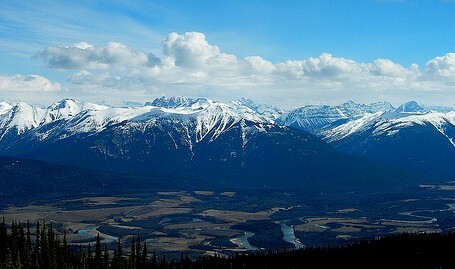 The Main Dore River (grade III+) pictured above, has continuous rapids from start to finish. The biggest rapids are near the first bridge on the way to the put-in. It's a hoot of a run, requiring constant boat scouting and navigation to avoid the numerous holes, rocks, and the odd log sticking out. It's fairly clean compared to the North and South Fork, but one should always be deligent of wood regardless. Below is a picture of Ian on the bridge rapid from a couple years back. This river is located about 5 minutes east of town up the Holmes River Forest Service Road. As you drive along the FSR, you'll soon see Beaver Falls which isn't really a waterfall, just a big short rapid. The normal put-in is at the 15 km bridge. 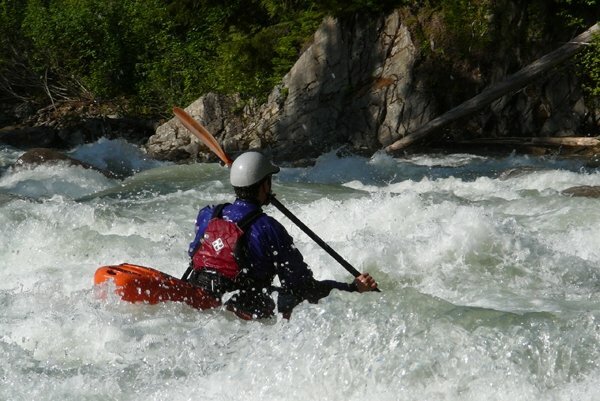 The Holmes is a fast river with several long continuous rapids (grade III+). The run finishes off with Beaver Falls (grade III+ to IV) pictured below, before the take-out near the highway. Last weekend on our way to scout another creek, Ian wagered some beers that I couldn't get in my gear, put-on the Holmes at the rec site above Beaver Falls, run the rapid and be back in the truck in less than 15 minutes. Needless to say I had a good buzz by the time we started scouting the next river. If you haven't done it before and your nearby, Beaver Falls is a fun little park n' huck. The next drainage east of the Holmes is Horsey Creek, about 15 minutes further. This is like the Main Dore, but steeper, especially as you continue up the road. I've only looked at this one, but hairboaters take note: the top part is pretty stout as pictured below (grade IV+). Last weekend, the road past this rapid was impassable due to a snow avalanche which had buried the road. It looked like there were still considerable rapids upstream. Lower down, there were also a few logs across the river which hopefully will blow out in high water. Maybe by next visit? The last significant drainage east of McBride before Tete Jaune Cache is the Small River, near the Dunster turnoff. 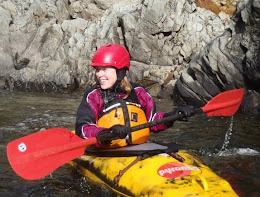 It's similar in character to the Horsey with fast shallow rapids in the bottom stretch, and increasing steepness as you go further up. Starting just above the bridge on the dirt road that parallels the river, there is a long class V rapid, pictured below. Burly!! Again, some wood issues on this river, but nothing impossible so far as we could tell. I think Norno is eyeing this one up for some future descent. Give er' dude! 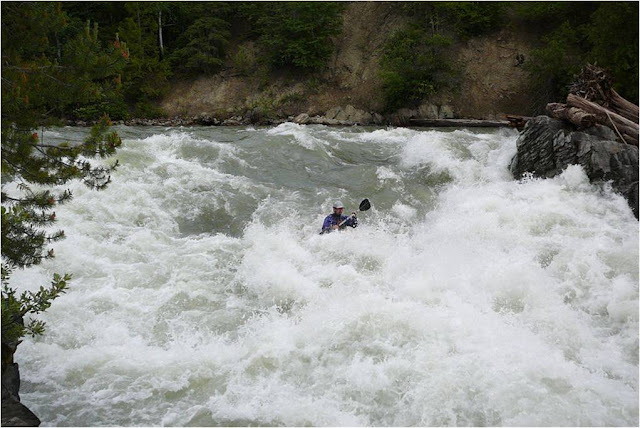 There are several other whitewater runs in the McBride area, including West Twin Creek, East Twin Creek, Castle Creek, and McKale Creek to name a few. 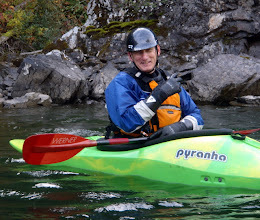 For more information you can check out Stuart Smith's guidebook to Central Rockies Whitewater. Thanks to Ian Norn and Hardy Griesbauer for the great pictures.